One platinum and 18 karat yellow gold brooch. 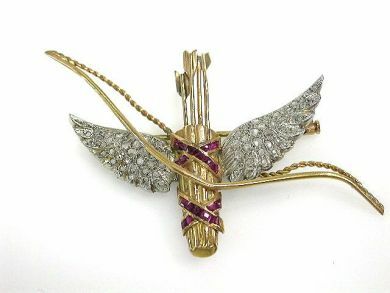 The winged bow and arrow brooch is set with eighteen rubies (0.59 carats). Seventy rose cut diamonds (0.77 carats: SI-I1 clarity: H-I colour).